Hosts India might have outplayed them in the first three ODIs but Sri Lankan team management is keen to include experienced spinner Ajantha Mendis in the playing XI for the fourth ODI scheduled on Thursday. Mendis, incidentally was a part of Kolkata Knight Riders during IPL-1 and had experience of playing at the Eden Gardens. "I had a good opportunity while playing for KKR at this ground. The pitch offered turn and we would also get a bit of bounce. I always had a bit of help from this track. We will try to do our best," Mendis said after their practice session. Talking about the match pitch, Mendis said, "It's not bad. The wicket has a bit of help for the spinners. Hope we can do something." 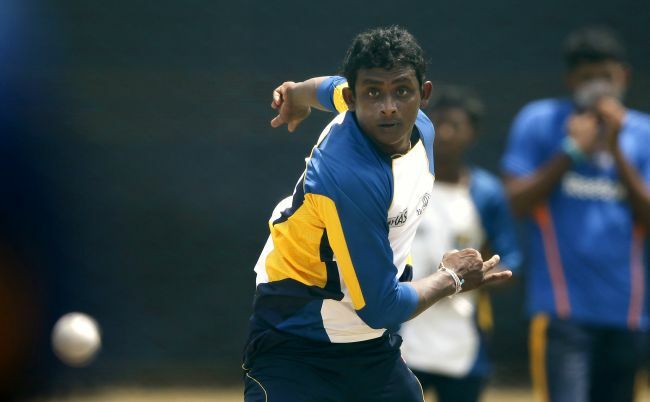 Once known as 'Mystery spinner' before he went off the boil, Mendis is hopeful that he would make some difference to the Lankan bowling attack which is thin on experience as far as taking on the mighty Indian batting line-up is concerned. "If I get an opportunity, I will bowl in the line and length with a bit of variation because India possess a very good batting line-up. We will try to put the pressure with our spin attack," he added. "It's about salvaging some pride and take the momentum into the upcoming England series and subsequently the World Cup in Australia-New Zealand next year." "I came for the last two games. We will at least try to win these two matches because we have a lot of matches on the way. We will try to do our best. "Everyone will try to win this game with the World Cup and the England series is next to come. Hopefully, everyone does well and get in shape ahead of the two big events." Mendis was not part of the side in the first three ODIs and asked about his exclusion, he said, "I have no idea as I only joined the team yesterday. I will give my best shot on this wicket. Everyone will try to win this game." With ICC's crackdown on bowlers with suspect action, Mendis said: "I think I'm okay as I've not failed. I don't want to make any further comments." Asked whether the absence of Kumar Sangakkara, who has been sent home to freshen up for the England series, would weaken their batting, Mendis answered: "He's the best batsman of our team but we have Mahela (Jayawardene) in very good form. Two experienced guys Dinesh Chandimal and Lahiru Thirimanne have also come in."